Our Beginner to Blogger series is still going strong! The latest round of stories and insights are from J at Their Money Goals. We have a few more interviews already lined up, but if you’re a personal finance blogger who would like to participate, you can reach out through the contact page or on Twitter. Hi! My name is J. and I write at Their Money Goals. I’m a wife, mother, lawyer, and personal finance enthusiast. My husband and I are on a mission to pay off over $670,000 of debt, which consists mostly of student loans but also includes our mortgage. I started Their Money Goals to track our journey and encourage others (especially other young professionals with high incomes and high debt balances to match!) to take control of their finances and live life on their own terms. This question has two answers because different things prompted my personal focus before I was married and my husband’s and my focus as a couple. My personal focus (before I was married): It all started the summer after my sophomore year of college. I was home for the summer and was working at one of the stores in the mall. I went to the food court on my lunch break almost every day. That summer, I was hanging with my friend and met one of her friends, who we’ll call “Joe.” As I got to know Joe, I quickly realized he was pretty financially savvy. He was 25 or so and owned his home outright, which he bought with money he saved from DJing parties around our hometown. I learned a lot of basic personal finance tips from Joe that summer. One of the biggest eye-openers for me was when he showed me how much money I could save each month if I just ate at home or brought lunch with me instead of buying food on my lunch break. It made perfect sense, but I had never thought about it that way before. No one in my life talked about money, so I didn’t know a lot about it. I hadn’t been managing my money very well up to that point. I didn’t get my first bank account until I started college at 18, so it was still pretty new to me. I saved 20% of every paycheck, so my savings was okay, but my checking account was another story. I generally kept an eye on the account balance to make sure I didn’t overdraft, but it regularly got down to $1 (even though I got paid twice a week). I didn’t have any real plan for how I was spending my money, and I’m so grateful to Joe for teaching me some basics and planting the seed for my love of all things personal finance. 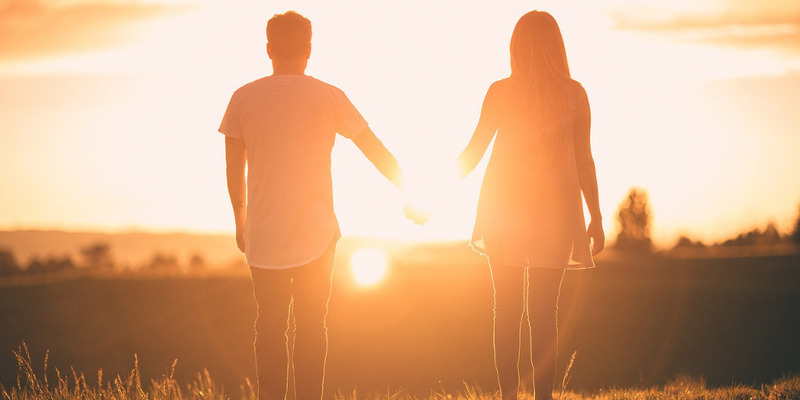 Our focus as a couple: As a couple, my husband and I managed our money well, but we had racked up quite a bit of student loan debt (law and med school). We were always taught that student loans were “good debt,” so we paid the minimum payments and didn’t think much about it. Our focus on paying off our debt was prompted by the birth of our son. After his birth, when we thought about how we want our lives to look in the future, we saw ourselves working a whole lot less than we currently do so we can spend more time with our family. Unfortunately, that didn’t seem feasible with our debt hanging over our heads, so we made a plan to tackle it as quickly as we can. The greatest mistake I made in the “early days” was not tracking where my money was going. As I said, I opened my first bank account when I was 18. Up to that point, I only ever used in cash. My bank account came with a shiny new debit card, and I swiped that thing everywhere. Based on the information that I learned talking to Joe, I started tracking my finances. I made a spreadsheet on Excel and categorized every single purchase each month. I did that for a month or two and started noticing a pattern: I was pretty much eating my whole paycheck! Even though I paid for a meal plan on campus, I was going to Chick-fil-A and dinners and brunches. I started cutting back on that. I still occasionally went to restaurants, but I started eating a lot more on campus. That turned things around tremendously. Rather than my account getting dangerously low until the next payday, I had a surplus at the end of the month. At this point, I was a junior in college, so it was enough time for me to retrain myself and build new habits before I went off to law school and had to handle real adult bills in my own apartment, rather than living on campus. When I’m focused on something, I am focused. I’m determined to succeed, and you can’t tell me that I can’t do it. With our debt payoff journey, I tend to get super obsessive about how much we can pay on the debt each month. Even though we’ve been able to pay thousands extra each month, I still want to do more and feel like we’re not doing enough. I have read and heard a lot of content in the last week or so that I know God is using to tell me that I need not get so bogged down in paying off debt that I forget to live life in the process. I’m trying to keep that in mind as we go through this journey. Financial independence to me is the freedom to live life however we want to without having to worry about money—whether that’s how much something costs or how much we get paid. 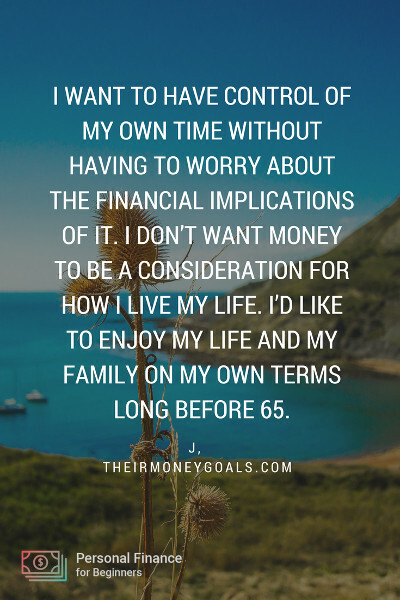 I want to have control of my own time without having to worry about the financial implications of it. I don’t want money to be a consideration for how I live my life. I’d like to enjoy my life and my family on my own terms long before 65. Our debt payoff journey has strengthened our marriage. We make goals together and dream about life after debt. We know that we’re doing the best thing for our family. I also feel like we’re more in control of our lives, which is empowering. The unexpected challenge has been almost feeling guilty spending money on fun things or non-essentials, even when we’ve budgeted for it. I would have expected the challenge to be not spending money, but I think paying off debt becomes addicting when you’re seeing progress. Continue to live like you’re in college. It’s so tempting to come out of school and spend, spend, spend because you’re used to making nothing. Believe me, adulthood will catch up with you fast. You start accumulating bills and responsibilities. Then, all of a sudden, the income that you thought was so much in the beginning feels a lot smaller. You’re used to living off nothing, so continue living that way for a little while. Pay off your student loans and build up a cash cushion, and then you can worry about doing other things. Give yourself some time to get used to making money and to figure out how to manage it. The whole idea that being able to afford the payments on something means you can afford that item really bothers me. I fell into that trap for a little while. My car got totaled in an accident, and I got a check from the insurance company for $5,000. Rather than using that money and buying the same car I already had, which was perfectly fine to me before the accident, I used it as a down payment on a brand new car. Mind you, I was a law student at the time and had no business buying a new car, but that’s exactly what I did. The payment was $375, and I could “afford it” because it fit in my budget. My car was one of the first debts we tackled. When I looked back at how much I had paid, it was $6,000 more than I would have if I had paid for it outright. Interest is how these banks make their money. Don’t fall for the lie that you can afford an item because you can afford the payments. You’ll spend way more than if you just wait a little while and save for it. Our decision to pay off our debt has most improved our financial situation. We paid off about $50,000 last year and have already paid almost $40,000 so far this year. Interest is kicking our butts, but we’re making progress. Focusing on paying off our debt has increased our margin for the month. We have fewer obligations to pay out, so we are in a much better position now than we were before. Can I do two? I like to splurge on shoes and handbags. I don’t splurge often, but I bought a pair of Valentino Rockstud slingbacks last year, which is the most expensive pair of shoes I’ve bought so far. The best part is I got a large chunk of the money I paid for them back because I used a credit card that will continue to check for a lower price on select items for up to two months after purchase and cut you a check for the difference. I highly recommend Dave Ramsey’s The Total Money Makeover. It completely changed the way we looked at our finances. We started trying to pay extra on our loans when our son was born. We were making $200 extra payments every month, but it wasn’t moving the needle. Our progress took off after we started following the principles in his book. We don’t follow his plan to a tee because we’ve tweaked it to fit our lives. It definitely works, though, and we’re making progress, which has caused us to stick with it. Finding a plan that you can stick with is one of the biggest keys to reaching your goals. I started getting into personal finance blogs the summer before my junior year of college. I enjoy reading other people’s stories and seeing how they handle their money. I first thought about starting a blog 4 or 5 years before I actually did it. When we started our debt payoff journey, I thought it could be helpful and motivating to others who are similarly situated. I had read a lot of blogs about people paying off debt, but none with as much debt as we’re trying to tackle. I talked to a friend who had already started two blogs, and she encouraged me to give it a try. Blogging has been amazing so far. There’s a learning curve, for sure. So much more goes into blogging than I realized, but knowing that I’m helping people makes it all worth it. I’ve also really enjoyed getting to know others in the personal finance community. Everyone is super welcoming and supportive, which has been nice. I’ve learned a lot from them. I know that it doesn’t appeal to everyone, but it’s an issue a lot of people struggle with. My post shows others how we made the decision and helps them make their own decision about whether to tithe while they’re paying off debt. It’s the most popular post on my blog by far in terms of page views. J, thanks for stopping by to share your story with our readers! What strategies have you used to make personal finances an empowering part of your marriage or long-term relationship?